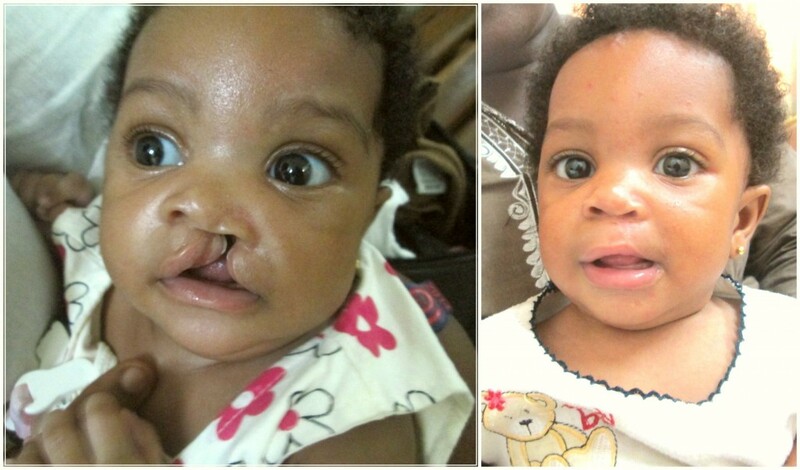 One-year-old Debora Elorm Amenordoh was born with cleft lip and palate in the Madina region of Accra, Ghana. Her parents, Godson and Elizabeth, were refer red to Korle Bu Hospital’s cleft care services by nurses and doctors at the nearby Ridge Hospital. Since September 2014, Debora received nine treatment interventions at Korle Bu. Thankfully, her family was able to easily access care services 20 kilometres from their home. They note that the surgery, counseling and treatment provided has been very comforting and helpful. But it has not been easy for the family – when Debora was born with a cleft, extended family members shunned she and her parents. Social stigma and community acceptance are major challenges for patients born with cleft lip and palate, and their families. The issue often stems from limited public awareness of the condition and superstitious/cultural beliefs around the causes of clefts. By involving social workers, psychologists and nurses in the treatment process early on, we’re able to help educate families, alleviate the shame they often feel, and build the child’s confidence.